Old E-Gor, damned sure knows how to appeal to my primal instincts, when he sent me this photo of the stunning Lynda Carter wrasslin' a gorilla. This is from the first season of ' The New Adventures of Wonder Woman", in an episode called Wonder Woman Vs.Gargantua. Gargantua was played by veteran TV"big guy" Mickey Morton. Morton, at over 6'7" in height ,seemed to tower over the 6' Lynda Carter, as the Amazon princess. 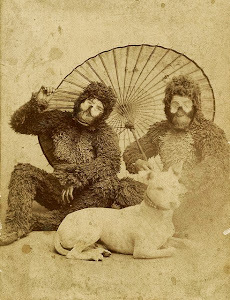 Morton's Gorilla suit was a mixed bag of ape elements, that never quite fit together as a gorilla man quality suit. The fur suit was fairly well done, while the face was done with recycled Planet of the Apes gorilla appliances. While the make-up afforded Morton the ability to express a wide variety of emotion quite effectively, the face looks painfully small next to the giant proportions of the suit. To try to rectify this, the costumers tried to make the head much larger by making a gorilla proportioned headpiece that fit on like a wig. 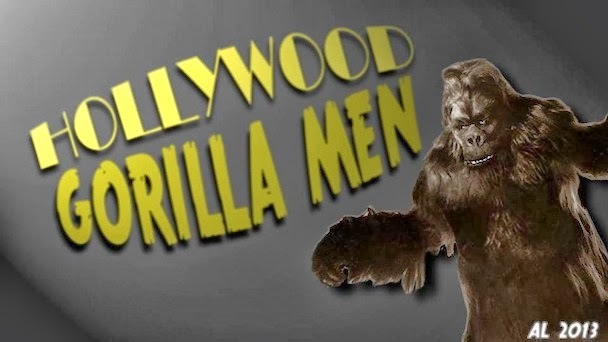 This further added to the problem, by having it look like the tiny face gorilla was wearing a Russian fur hat. The one advantage to this enlarged head, was an additional 10" in height added to Morton's already formidable proportions. 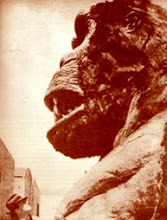 The character of Gargantua was based on the famous gorilla of Ringling Bros. and Barnum and Bailey Circus fame. Mickey Morton also played another furry giant as the Malla, the wife of Chewbacca the Wookiee in the notorious Star Wars Holiday Special ! This is a Flickr badge showing public items from hollywoodgorillamen.com tagged with gorilla. Make your own badge here. 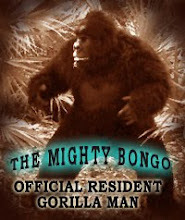 E-Gors Gorilla Goodies...Monkeys Makin' Movies !